It was his first international flight. The plane had flown from Lahore Airport to London Heathrow Airport. The flight took nearly 8 hours. As the plane neared Heathrow, he looked outside the window at the metropolis below. It seemed to be a dream. In his childhood, he had seen pictures of London. Though studying abroad had been his dream, he had never thought that a day would come when he would see London with his own eyes. He had wanted to go to Australia but his family elders advised him to go to London because of family relatives that were there. He had made preparations for months to come to London. He had passed an English proficiency test, prepared documents, applied for a visa, grappled with nightmares of a possible visa rejection. Now, at last, the moment had come. His life abroad had started. While he was lost in his memory lane, the plane landed on the third busiest airport in the world. It was now racing along on the runway at great speed. As the plane was taxiing along, the soft voice of the flight attendant provided updates, ‘Ladies and gentlemen welcome to London Heathrow Airport. Local time is 04:25 GMT and the temperature is 18°C . . . please remain seated with your seat belt fastened until the plane is parked at the gate ..." He could see the landings and taking offs of other planes. In his native country a white person or ‘gora’ is a rare sight. At the airport, there were white people all around. When he got off the plane, the first thing that puzzled him was the accent of these white people. He was a graduate and knew English very well. He was quite familiar with its accent Hollywood movies. But, he was not used to the British accent, which he found very difficult to comprehend. His cousin had come to pick him at the airport. From there they went to Reading by bus. 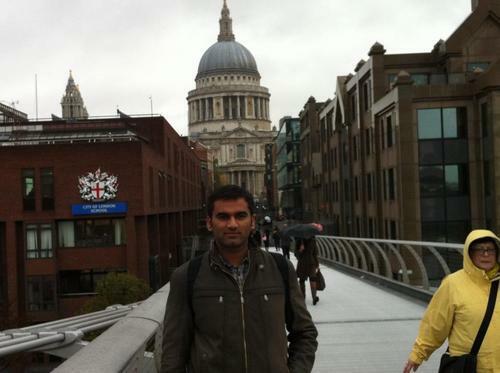 This was Shahzad’s first day in London. He has now been living and studying in London for seven months. He is a 23-year-old Pakistani youth. He is studying for a Higher National Diploma in Business Management at Cranford College in Greater London. 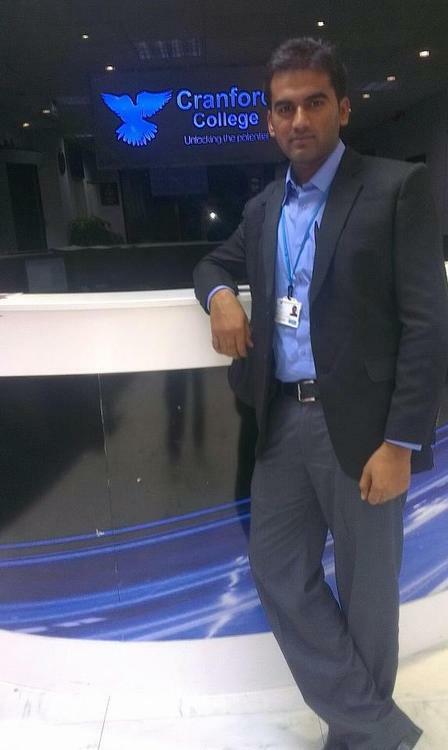 His college is staffed by teachers from various countries. He has to attend classes from 9.30 AM to 6.30 PM. When there are no classes, he has to do research and prepare assignments on topics given by the teachers. 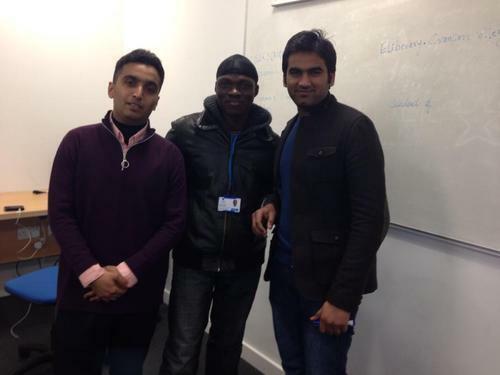 I have conducted an interview with him about his experiences in London as an expatriate student. 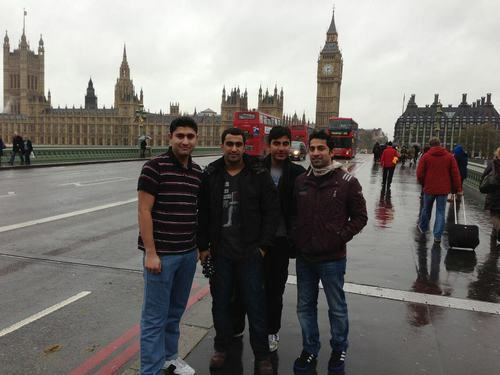 I began by asking about his decision to come to London for higher studies. 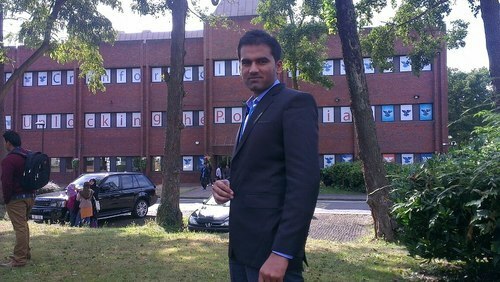 He said, ‘After completing my graduation in Pakistan, I wanted to go abroad for higher education. My father appreciated my fondness for learning and gave his a go-ahead. I am really indebted to him for his consistent financial and moral support. My preference was Australia but then my elders intervened and London was finalized’. 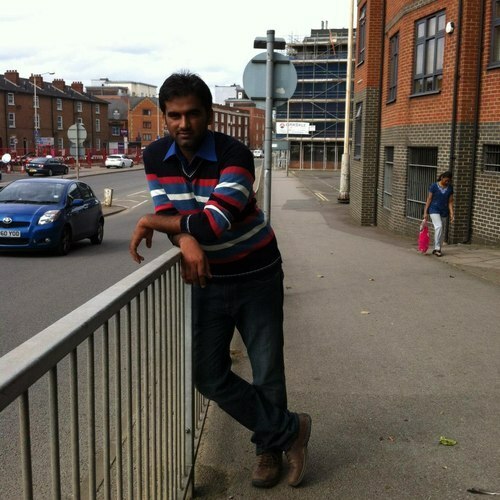 Shahzad now lives in Berinsfield while his college is situated near Heathrow. So, he has to travel for more than two hours in multiple buses to reach his college. Travelling to the university is more difficult in extreme weather conditions especially when the temperature is subzero. But when he finally reaches his college, the travel fatigue is quickly forgotten. In the future, he plans to do an MBA, CIMA and ACCA. 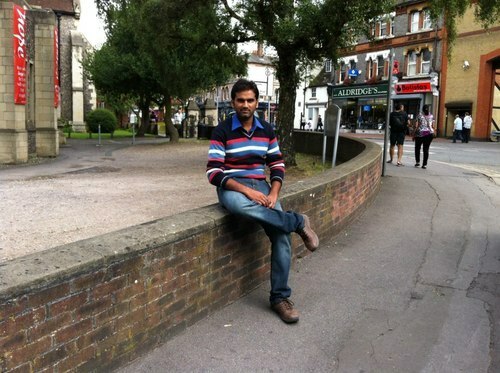 His dream is to study at Oxford University. 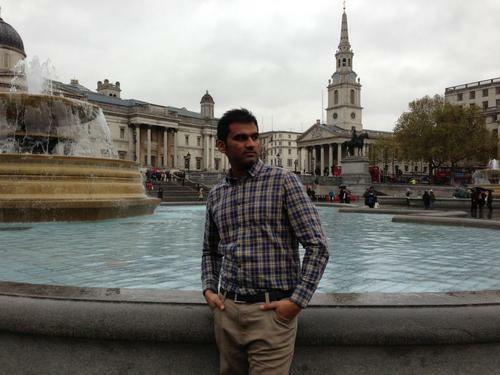 When I asked Shahzad about the things he liked in London, he named the blue skies of London, the Tubes Tower, British Museum, Buckingham Palace, Tower of London, National Gallery and the British style of buildings in the downtown. He says that life in London is different from life in Pakistan. Speaking of London, he says, ‘Life is hectic, people don’t have many guests visiting their homes. People like to meet one another in pubs. Nobody seems to care for you but they are willing to help you if you need it. They don’t bother others. Londoners work hard for five days of the week and on weekends they enjoy life and forget everything else. In addition, Londoners are very particular about punctuality. They are very polite. You often hear ‘cheers mate’ and ‘pardon’. He says that he did not find London as beautiful as he had seen it in pictures in his childhood. Talking about the problems in that city, he pointed to drug addiction. Teens (under 18) are in the habit of smoking cigarettes. They appear to be addicted to drugs and Marijuana or what they call in street language ‘ganja’. He has spent two Eids (Muslim holidays) in London. On these holidays, he missed his family and friends a lot. Without them, life in London looked dull and dreary. He felt like flying to his hometown. 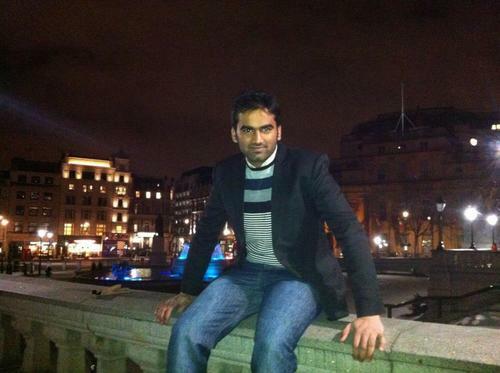 He had never spent a single night outside home before coming to London. He says that whenever he phones his mother, she begins to sob. But, then she puts her grief aside and advises him to study diligently and showers on him prayers for a bright future. 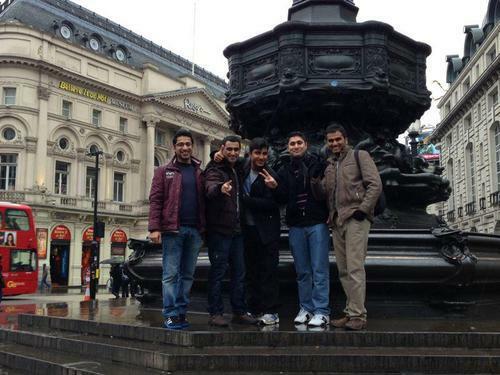 Shahzad has a limited number of good friends now in London with whom he spends his leisure hours. Though he likes to move around with his friends in London, he is aware of the fact that time is flying and he has to work hard to pursue his academic and professional aims in life. He values the sacrifices his father has made for the betterment of his siblings. He looks forward to the day when he will be able to give rest to his hard-working father. Shahzad is not the only foreign student who has this dream for his family. There are actually thousands of foreign students who are studying in the UK and have similar aspirations. According to UK Council of International Students Affairs (UKCISA), there were more than 435,230 foreign students in the UK in 2011-2012. They come from European and Non-European countries. China, India, Malaysia, Hong Kong, Saudi Arabia, Pakistan and Thailand are among the top Asian countries that send their students to the UK for academic learning. According to the council, most of these students apply themselves in business and administrative studies. The success stories among these students speak of not only the hard work done by these young adults but also the great supportive roles played by their families back in their native countries. This story of Shahzad shows us a glimpse of the struggle and sacrifices Asian families make to have their youths equipped with an education from the West. it reveals how parents silently work hard in the background. They suppress their sobs so that their children can smile and have a better future.